I’m amazed every time I hear someone speaking a language other than his or her native language, but I am even more amazed when I meet someone who attends a master’s program in another language. 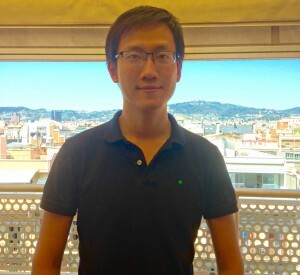 This month, we have interviewed Hongtao Gao, a student from the central part of China, who is currently pursuing the Master in Finance program in Spanish and he has shared his experience of EADA and Barcelona with us. Before arriving in Spain I went to Argentina to learn Spanish and also took some intensive Spanish courses. What do you think of EADA students? How has your integration with the class been? EADA students are very diverse and competitive. EADA policy coincides with the trend for globalization in the future. For example, I have many colleagues from Latin America on my course. We have become good friends and potential business partners in the future. What about the participative methodology of EADA classes? The participatory approach has been successful because it has the aim of learning by doing. Although it has been a challenge for me because I’m an introvert by nature, yet at the same time it has managed to positively affect me. I have been able to express myself and share my ideas in class. What has been your experience of Barcelona? What do you like best? First, it is an international city that accepts everyone. My stay in Barcelona has been a fantastic experience. What I like most is the vitality of the city, which makes me see hope for the future. Second, the weather is very nice, making Barcelona advantageous for people who want to work and live here. What has been the biggest challenge during your stay in EADA and / or Barcelona? Actually, I have not found much difficulty during my stay in Barcelona as I lived for four years in Andalucia, where it is supposed to be more difficult for foreigners. As for the biggest challenge I’ve faced in EADA, it is the project I’m doing right now which is about a trading system in the financial market. At first, I struggled a lot and did not know much computer programming. Would you recommend other students to come from your country? Yes, I would recommend coming to EADA. Studying in an attractive city and at a prestigious school such as EADA would give them many benefits when they are looking for work. In particular the educational methodology of EADA is very creative and helps students a lot, to grow both professionally and psychologically.